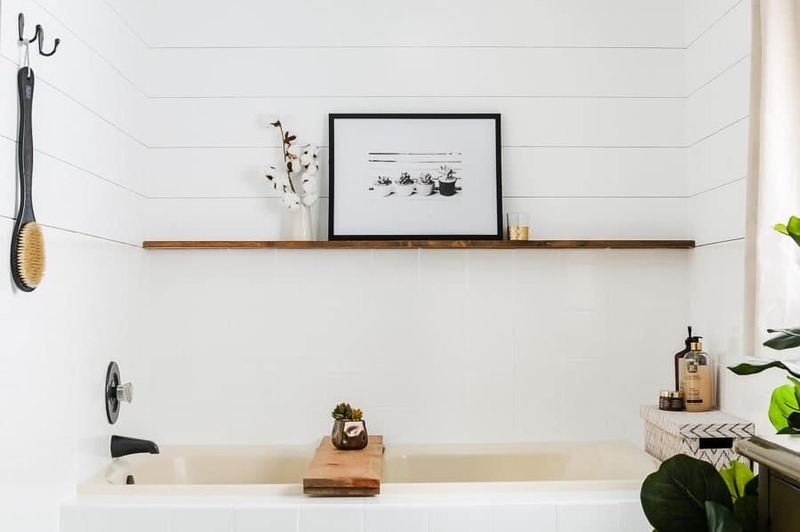 Looking for easy ways to freshen up your bathroom before guests arrive? 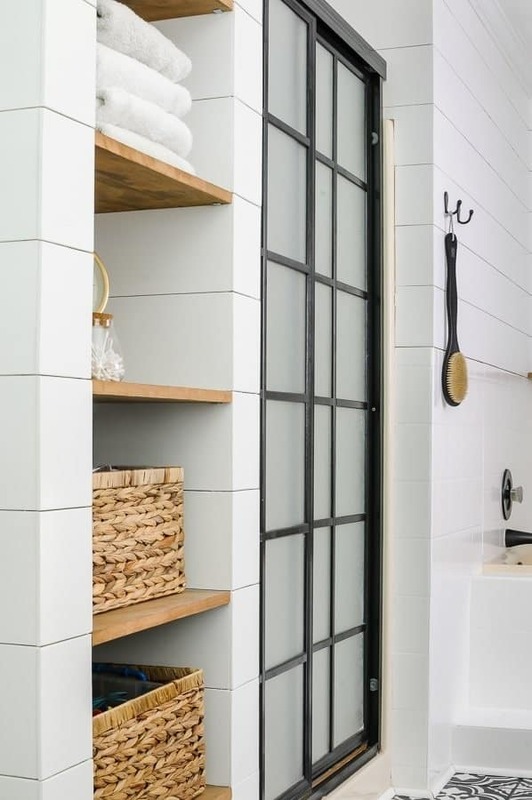 Make your guest bathroom especially welcoming using these 7 simple refresh ideas! Having guests in my home is honestly one of my favorite things. 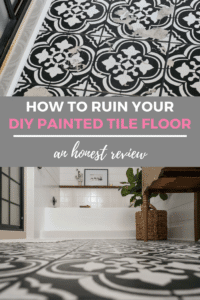 I love spoiling people and taking care of them, which is why I always give our guest bathroom a quick refresh before they arrive! 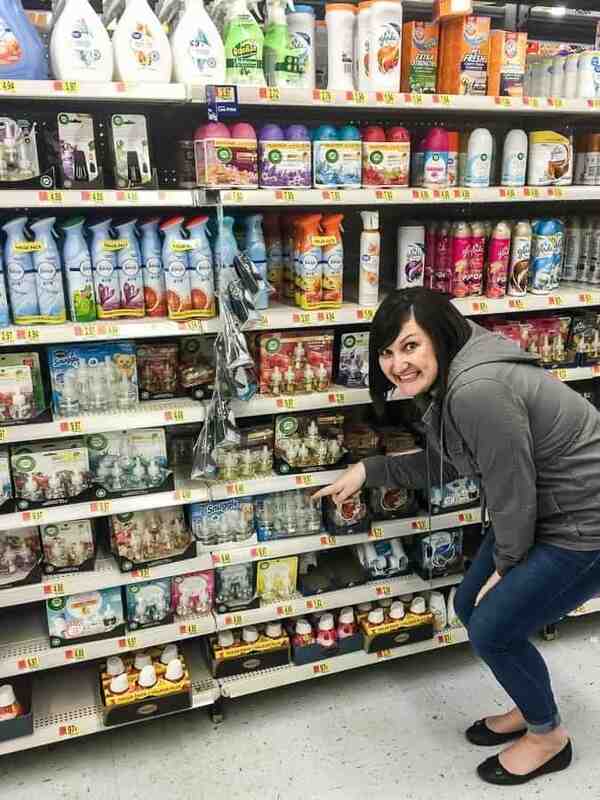 You can also save on these by using Ibotta (Save $3 on any one (1) Renuzit® Snuggle®​ 3 ct oil refill and Save $5 on any one (1) Renuzit® Snuggle®​ 5 ct. oil refill​)! The other wonderful thing about these oil warmers is that they’re pretty! I love how nicely the warmer blends in and the clear Renuzit® Snuggle® bottle looks really classy. Or you could give luck a draw and enter the Renuzit® Snuggle®​ Sweepstakes! 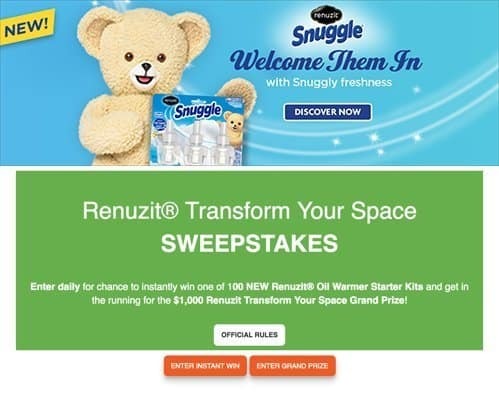 You can enter to win 1 of 100 Renuzit® Snuggle®​ Starter Kits containing the warmer and oils or the Grand Prize of $1,000 Walmart Gift Card! 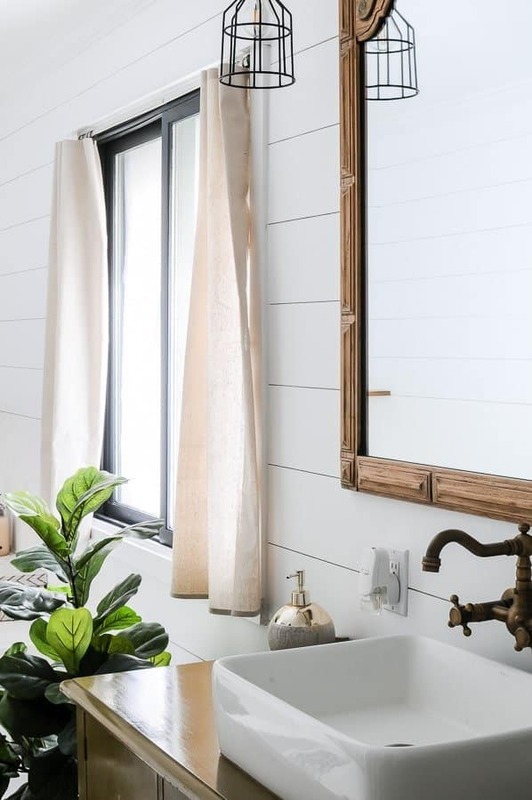 If your guest bathroom has a window, try installing some fabric curtains. The softness of the fabric will make the space feel more comfortable and they add another level of privacy for your guests. Already have some fabric curtains? Consider washing them before your guests arrive! First, replace any of your bathroom towels that are damaged or worn. 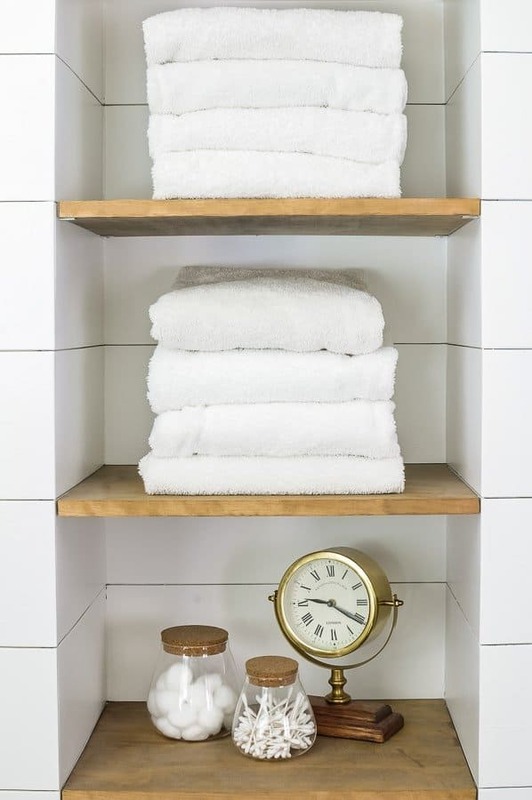 Then, give all of your guest towels a wash and fluff before nicely folding them and putting them out for your guests to use. One of the least welcoming things to encounter in a bathroom is exposed trash… I mean, let’s be real, no one wants to look at the type of trash originated in a bathroom! 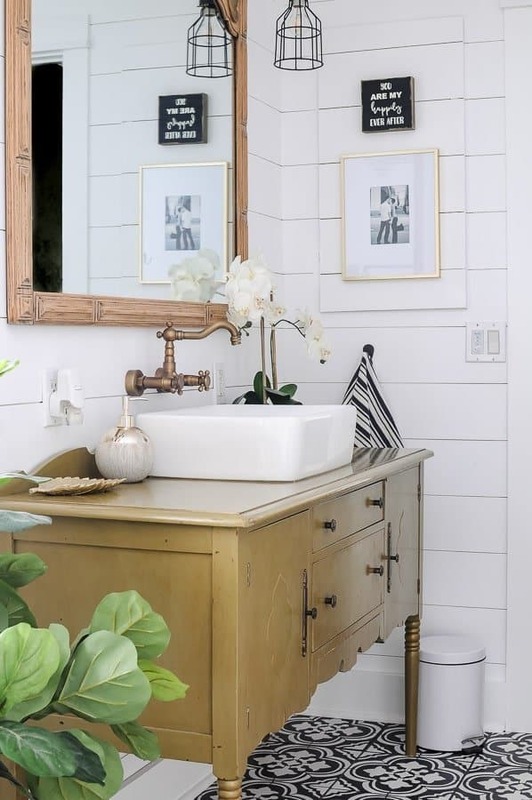 😉 Give your guest bathroom an easy refresh by offering a CLOSED trash can to your guests – you’ll be amazed at how much more inviting the space ends up feeling. 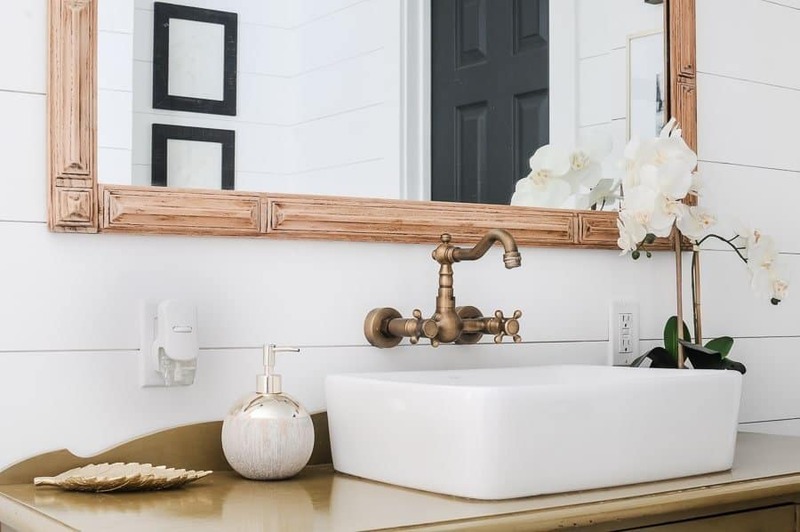 Certain decor items make a bathroom feel luxurious – try adding a bath tub tray, leaving fancy shampoos and scrubs out for your guests to use, or hanging a clean shower brush near the shower. Well, there you have it! 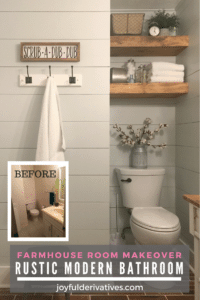 Seven super easy ideas for doing a quick guest bathroom refresh before your next guest arrives. 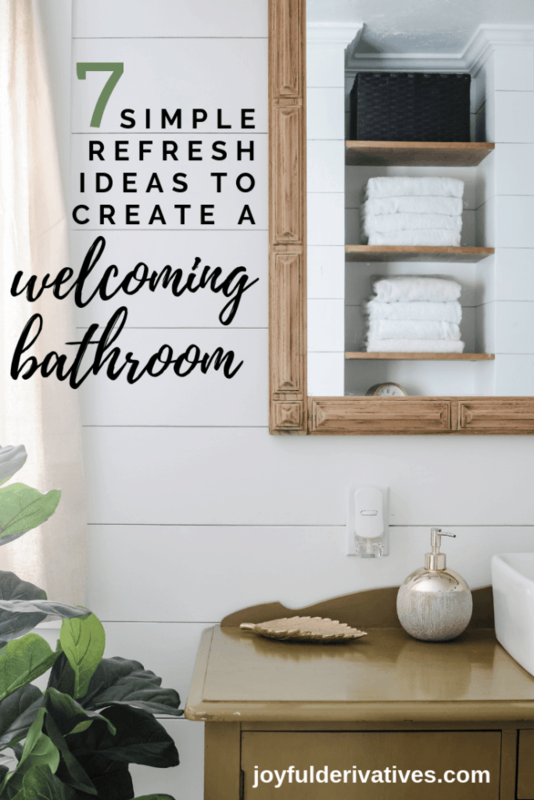 I hope this helps take a bit of the stress out of prepping for guests and gives you some simple, actionable steps towards making your guest bathroom more welcoming and inviting. 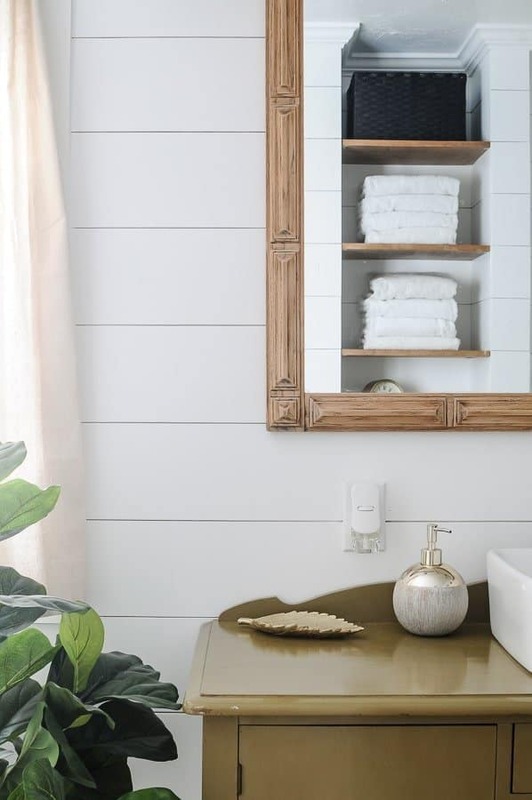 What is your favorite way to prep a bathroom for guests? Let me know in the comments!